Diploma of Phytotherapy (DipPhyto), Diploma of Acupuncture (DipAcu), Diploma 5 Elements Acupressure (DipFEA), Diploma of Health and Fitness, Reiki Master, "Maestra de Medicina" apprentice. Laynah Hélène Lafond has been involved in techniques for healing the Body, Mind, Soul and Spirit for more than 30 years. It is her goal to assist others in reaching balanced health, or at least find peace with Ill-ease and Dis-ease in one’s life. She is passionate about Plant Spirit Medicine in their natural form and loves to find plant allies that will assist people’s body in reclaiming their vitality. You are energy in form thus illness is simply an imbalance of your own energies. Pain is stuck energies that can be recaptured. With a diploma in Fitness, Health and Nutrition, she received high honors from International Correspondence School of Canada in 1988. She has been a Reiki Master since 2000 and she believes healing starts with the spirit and the energy bodies surrounding the physical form. Emotions are our barometer and they show us how far away from our true self we have moved. Emotions are allies in releasing body illnesses and calls for our attention. We are spirit energy in human form having an earthly experience. YOU are powerful healers beyond words. She studied 5 elements Acupressure in 2006 with the Canadian Acupressure College in Victoria BC and received her diploma in 2009. By working with the body’s meridian pulses, and using the 5 elements in nature, the body learns to release trauma, emotions and pain to harmonize the flow of energies. The body knows HOW to heal itself; it simply needs help releasing the blockages to recreate balance of Body, Mind and Spirit. The body stores any unresolved emotions and manifests itself as aches, pains, headaches. It is her purpose to help people understand the body’s language. There is order in chaos thus balance withing the imbalances. Everything has a cycle, even your own body. Laynah graduated from her dual diploma program of Acupuncture and Phytotherapy (Medical Western Herbalist) at Pacific Rim College in Victoria, BC in August 2013. She studied deeper levels of acupuncture along with the use of European Western herbs. She is a good standing member of The College of Practitioners of Phytotherapy and abides to high ethical standards. Her recent apprenticeship in Peru (2016 & 2019) brought about new medicine to heal the soul and spirit. The Shipibo Shaman believes that all illness can be resolved. They hold ancient wisdom about plant spirit medicine. She feels grateful for this humbling honor to study the Shamanic practices of the Shipibo culture. Singing Icaros in sacred ceremonies raises a sick person’s vibration to the level of plant spirit medicine. By meeting powerful plant medicine halfway, the plants say that they will meet us half way and assist in balancing the energetic fields. The plant spirit medicine have been singing their healing melodies and shared their wisdom and gifts with those who can hear them. Laynah is an intuitive healer who bridge the gap between humans and plant spirit medicine. She is here to help you open your heart and bridge your heaven and earth so that you can raise your vibration into wellness. It is her goal to serve and assist others in reclaiming their optimal health and return to their wellness. Her message to all her clients is to be willing to journey within and to listen to the body’s aches and pains as well as to pay attention to the energies out of balance, including emotions. Stop giving away your power to someone else to fix you, YOU have the inner knowledge to best restore homeostasis in YOUR body. She aims to guide you into the wealth of knowledge that exists inside of you towards achieving your optimal health. She continues to be a vessel for the plant kingdom and creates a bridge so that you can meet some amazing plant allies. She returns to Peru in February 2019 and will spend 2 months in the Jungle. She study the magical world of Peruvian Medicine under the tutelage of Don Enrique at Inkan Kenya. She hope to bring a group of enthusiast with her the year 2020. Please contact her is this is a dream of yours. 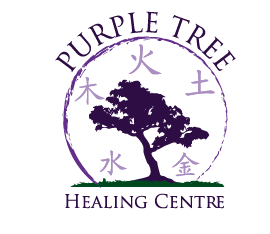 Purple Tree Healing Centre is located in Kelowna and is now accepting new clients. Laynah is available for workshops, seminars, and personal consultations. I am available via Skype for distance consultations. Laynah is passionate about Health and healing. She has devoted her life to that cause. She is kind, caring and compassionate. You are in good hands with Laynah. I am available by Appointments. If you would like more information about one of our services or are wondering if we can help you with a particular issue please fill out the form below or visit our services page.